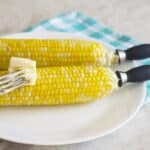 Learn the steps to make corn on the cob in the microwave. It only takes 5 minutes and the kernels end up perfectly steamed every time. 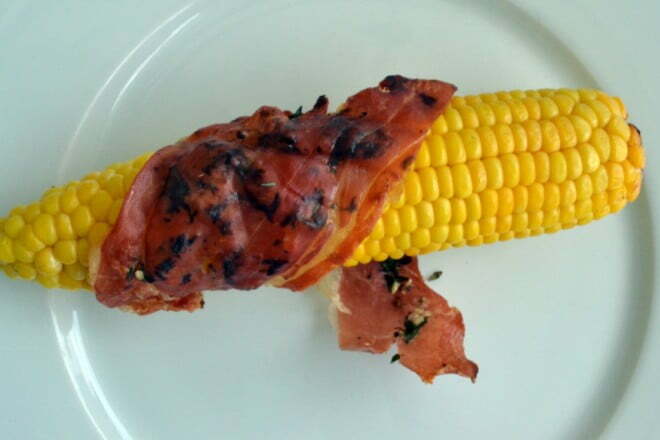 Yes, you can totally cook corn on the cob in the microwave and yes, it turns out perfectly. 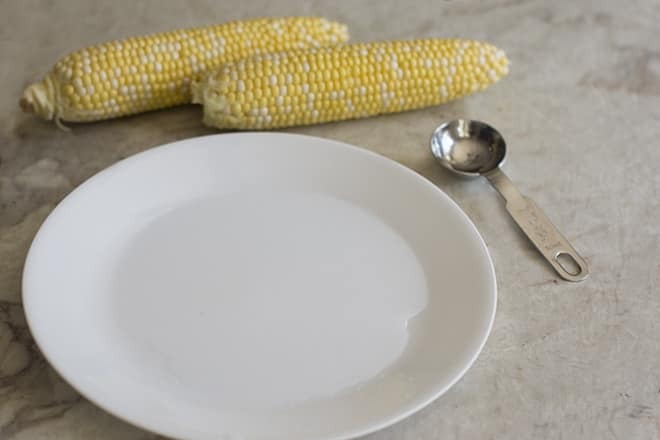 You do it by putting the corn cobs on a plate with some water on it. Then you cover the cobs loosely and microwave them. The steam from the water cooks the kernels perfectly. 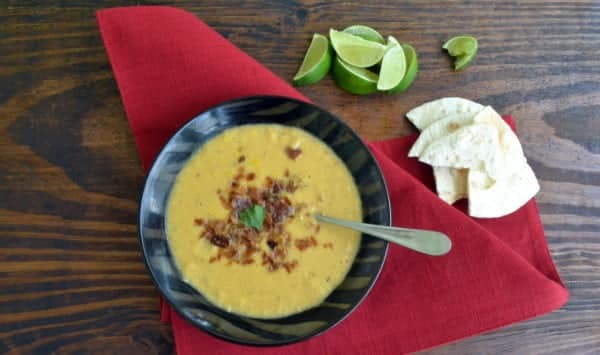 Ever since I discovered this way of cooking corn, it’s my go-to method. Unless I’m grilling. If I already have the grill going, then the corn goes on there for sure. But if the grill isn’t on, this is the way to go! 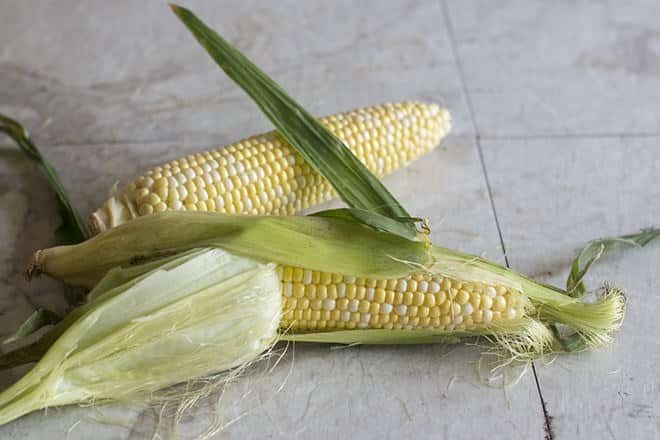 Start by removing the corn husks and silk completely from the cobs of corn. Discard. 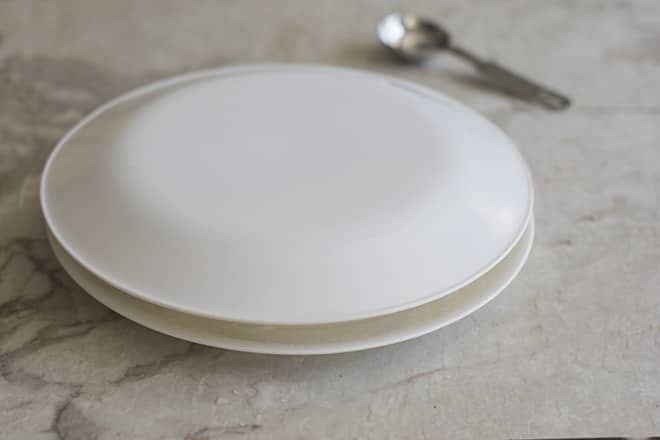 Put 2 tablespoons of water onto a large microwave-safe dinner plate. 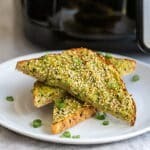 Mine are Correlle which are pretty inexpensive, long-lasting and they can go in the microwave, dishwasher, freezer and even the oven (up to 350°F). 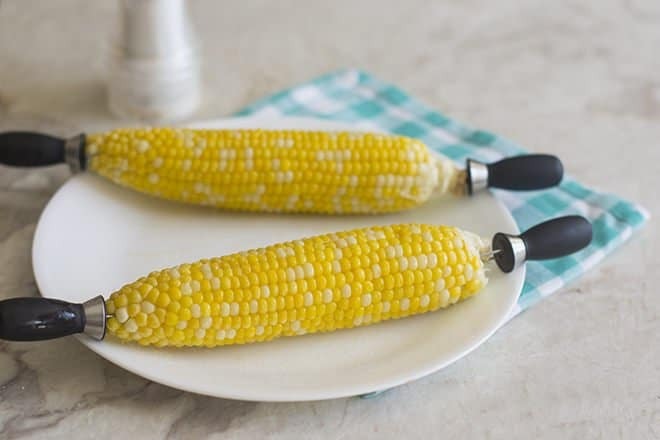 Put two* cobs of corn onto the plate. Top with an inverted second dinner plate. Microwave until kernels are darkened a bit in color and tender, 4-5 minutes. See how the kernels are a bit darker here than in the raw pictures above? Or you can ever top it however you’d like. I quite like this Mexican topping over here. 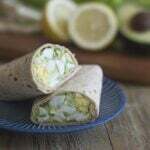 It’s a traditional Mexican street food mixture made of mayonnaise, cheese, garlic powder, chili powder and cilantro. 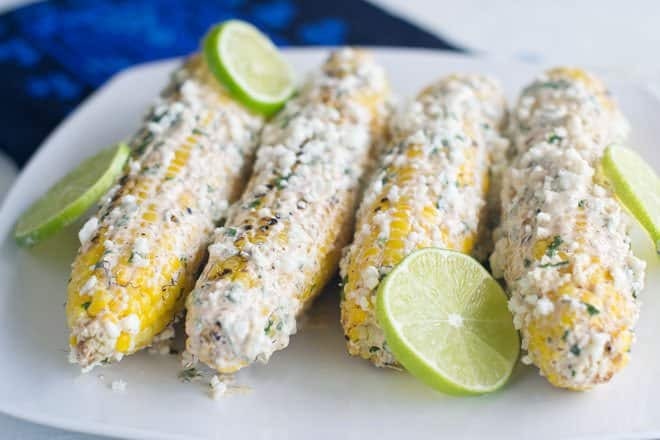 You smear it all over the cooked corn. Soooo good! Isn’t that just so easy and fun? 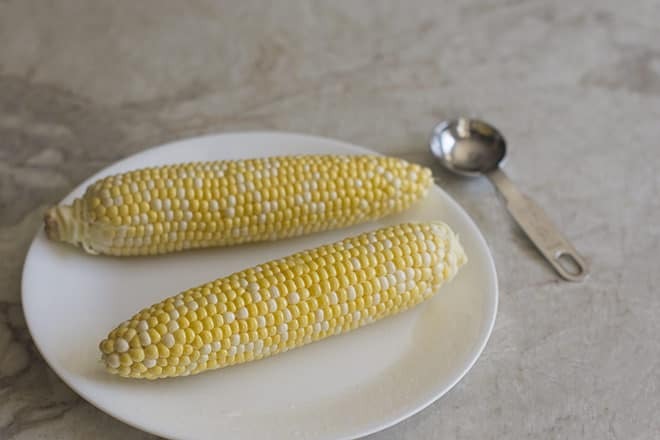 Here are the printable instructions for making corn on the cob in the microwave. 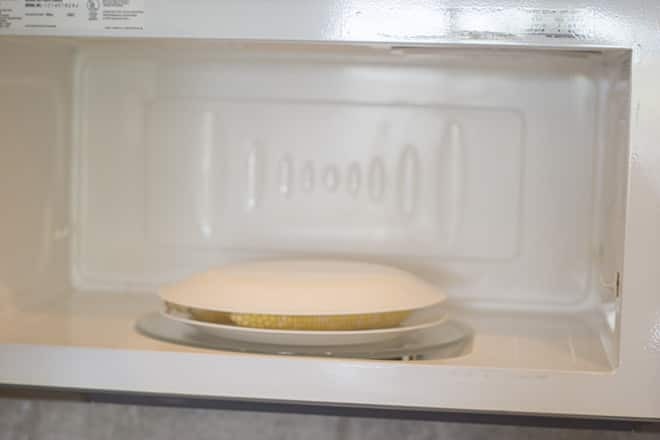 Put water onto a large microwave-safe dinner plate. 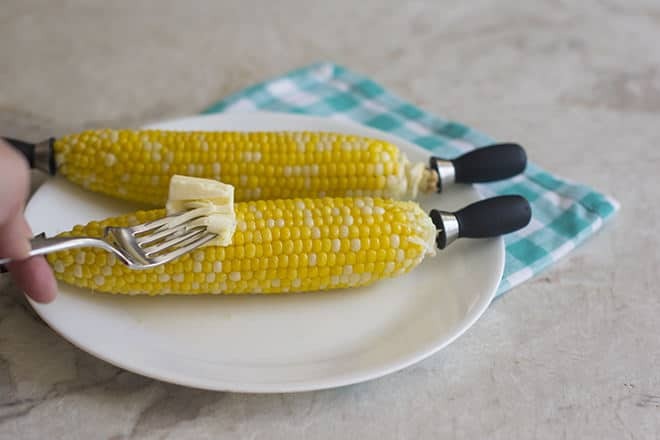 Put two cobs of corn onto the plate. 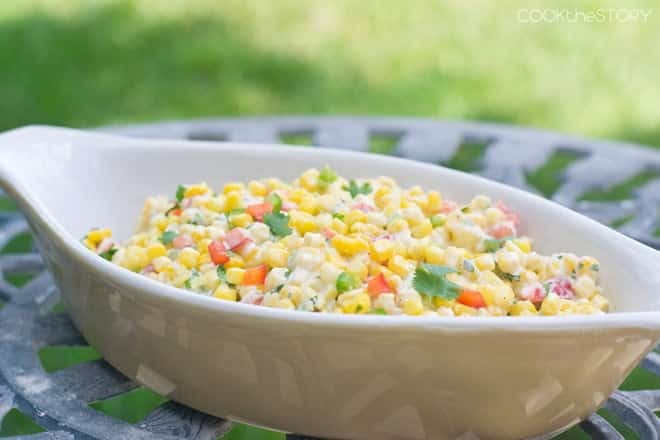 Microwave until kernels are deepened a bit in color and tender, 4-5 minutes. Drain water from plate. 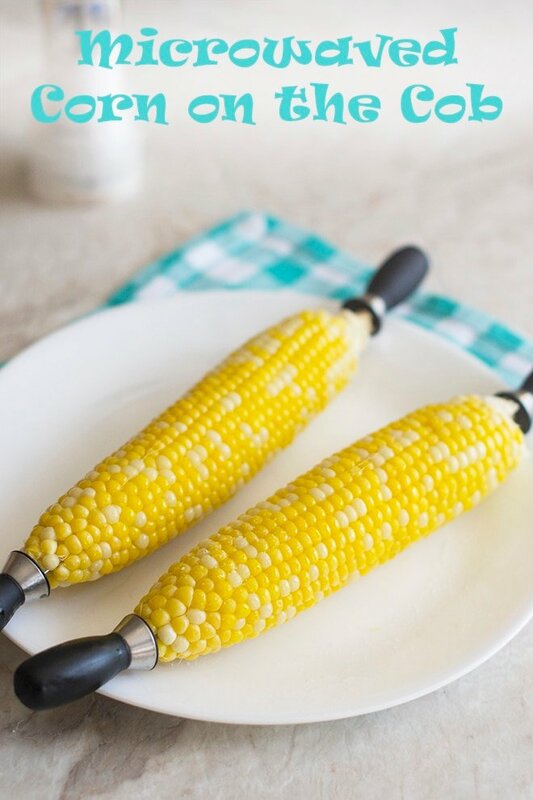 Insert corn holders into the ends of the cobs, if using. 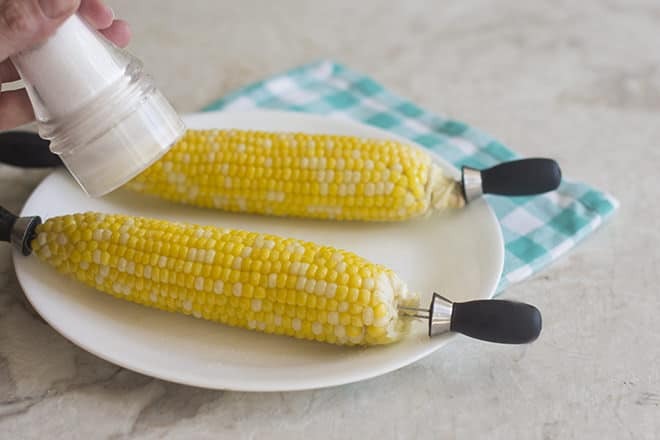 Spread corn with butter and sprinkle with salt. *To do 4 cobs of corn, do everything exactly the same except microwave for 3 minutes. Then flip the cobs over and microwave until kernels are darkened and tender, another 2-3 minutes. This post contains Amazon affiliate links meaning that if you click one and buy something I receive a small commission. This is at no additional cost to you. All opinions are my own and honest. 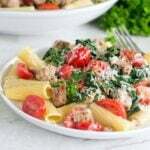 This post originally appeared in August, 2017 and was revised and republished in July 2018.